3217 West Blvd Belleville, IL. 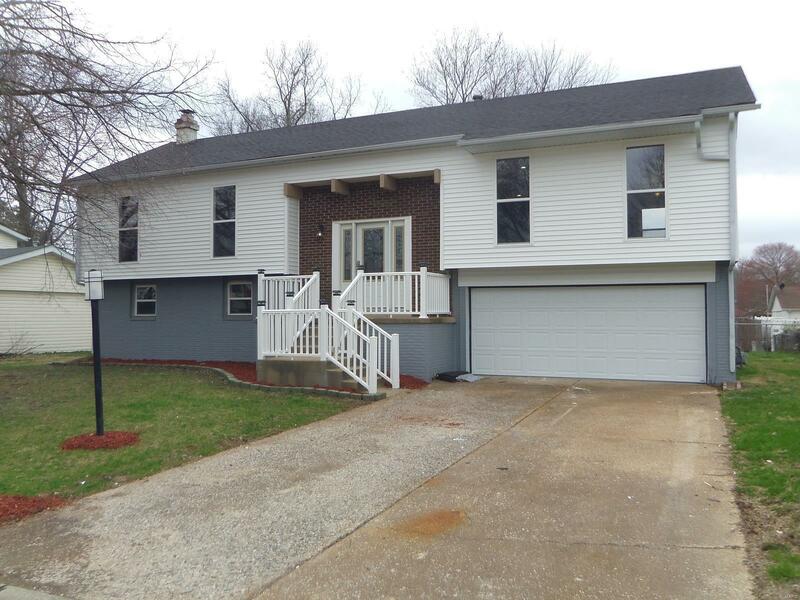 | MLS# 18028824 | Chuck Baer Realty, Inc - Homes for sale and rent in Cahokia, Dupo, E. St. Louis, Belleville, Waterloo, Columbia, OFallon and surrounding areas. CBR Property Management is a division of Chuck Baer Realty, Inc. offering property management and rentals. PRICE REDUCTION!!!!! Enter Entry Foyer featuring Ceramic Tile by way of new entry doors and be ready to enjoy a total renovation of this bi-level home that features 4 bedrooms, 1 full bath, 1 3/4 bath off master bedroom and one 1/2 bath in basement, kitchen with separate dining area, family room in lower level with fireplace and walkout French doors. The home also offers a new roof, new windows, new siding, new furnace, new water heater and new entry doors. Kitchen is furnished with a dishwasher and stainless steel range, microwave and optional stainless steel refrigerator. Master bath features a rain shower head and the master bedroom offers a double closet and French doors. you can walk out of dining room onto the deck and enjoy the beautiful landscaping.